IBM researchers have achieved a breakthrough in photovoltaics technology that could significantly reduce the cost of harnessing the Sun's power for electricity. IBM today announced a research breakthrough in photovoltaics technology that could significantly reduce the cost of harnessing the Sun's power for electricity. By mimicking the antics of a child using a magnifying glass to burn a leaf or a camper to start a fire, IBM scientists are using a large lens to concentrate the Sun’s power, capturing a record 230 watts onto a centimeter square solar cell, in a technology known as concentrator photovoltaics, or CPV. That energy is then converted into 70 watts of usable electrical power, about five times the electrical power density generated by typical cells using CPV technology in solar farms. If it can overcome additional challenges to move this project from the lab to the fab, IBM believes it can significantly reduce the cost of a typical CPV based system. By using a much lower number of photovoltaic cells in a solar farm and concentrating more light onto each cell using larger lenses, IBM’s system enables a significant cost advantage in terms of a lesser number of total components. For instance, by moving from a 200 sun system ("one sun" is a measurement equal to the solar power incident at noon on a clear summer day), where about 20 watts per square centimeter of power is concentrated onto the cell, to the IBM Lab results of a 2300 sun system, where approximately 230 watts per square centimeter are concentrated onto the cell system, the IBM system cuts the number of photovoltaic cells and other components by a factor of 10. “We believe IBM can bring unique skills from our vast experience in semiconductors and nanotechnology to the important field of alternative energy research,” said Dr. Supratik Guha, the scientist leading photovoltaics activities at IBM Research. “This is one of many exploratory research projects incubating in our labs where we can drive big change for an entire industry while advancing the basic underlying science of solar cell technology." The trick lies in IBM’s ability to cool the tiny solar cell. Concentrating the equivalent of 2000 suns on such a small area generates enough heat to melt stainless steel, something the researchers experienced first hand in their experiments. But by borrowing innovations from its own R&D in cooling computer chips, the team was able to cool the solar cell from greater than 1600 degrees Celsius to just 85 degrees Celsius. Specifically, the IBM team used a very thin layer of a liquid metal made of a gallium and indium compound that they applied between the chip and a cooling block. Such layers, called thermal interface layers, transfer the heat from the chip to the cooling block so that the chip temperature can be kept low. The IBM liquid metal solution offers the best thermal performance available today, at low costs, and the technology was successfully developed by IBM to cool high power computer chips earlier. While concentrator-based photovoltaics technologies have been around since the 1970s, they have received renewed interest in recent times. 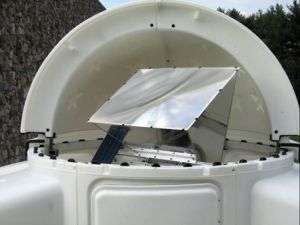 With very high concentrations, they have the potential to offer the lowest-cost solar electricity for large-scale power generation, provided the temperature of the cells can be kept low, and cheap and efficient optics can be developed for concentrating the light to very high levels. The goal of the projects is to develop efficient photovoltaic structures that would reduce the cost, minimize the complexity, and improve the flexibility of producing solar electric power. In addition to the photovoltaic research announced today, IBM is focused on several areas related to energy and the environment, including energy efficient technology and services, carbon management, advanced water management, intelligent utility networks and intelligent transportation systems. With decades of leadership in environmental stewardship, proven ability to solve complex challenges and unparalleled global reach, IBM is uniquely positioned to increase the efficiency of today’s systems and enable our clients’ “green” strategies. For perspective, trying to remove 160 W of heat(230 W - 70 W electric power) per square centimeter at 85 degrees celsius is no worse than trying to cool a highly overclocked pentium 4 prescott. At one point Intel believed they'd be able to get net burst up to 10 GHz by 2005. Considering that people have overclocked P4's to 8 GHz stably enough to boot into windows it's not all that outrageous technically, however the power consumption certainly was outrageous. You gain nothing from doing that. The maximum efficiency you could ever get depends on the difference in temperature between hot and cold reservoir. It might be tempting to think that you could increase the temperature difference between the reservoirs using a peltier element and thus get more energy from your heat engine running between those same reservoirs. But this doesn't work because if you could actually make more usable energy available than you put into your peltier you managed to decrease entropy and you could build a perpetual motion machine of the second kind that produces usable energy by simply cooling its surroundings. How exactly is this new? Looks like a 1960's TV "magnifying" lense. might was well use mirrors. Why would peltier modules not be able to work? Could someone explain a little more? IBM's advancement is to come up with a "cost effective" way to connect the silicon chip to the heat pipe. See http://www.thermo...ec.html. These modules, for example, are able to supply a hefty 1/2 amp-or-so each, just from the temp-differential. And as for how to remove the heat on the other side, a simple heat-sink would suffice as long as it were shaded from the light source. This configuration has been used for nearly a century in Sterling engines. Removing the heat. How about a low-e coating, similar to modern window glazing coatings, to filter out the extreme infrared? We don't need that. Low e coatings are pretty cheap. I don't trust Sunrgi. Their claims don't add up, the math that is.